IC 1805, The Heart Nebula, is located in the eastern part of Cassiopeia, about 7,500 light-years away. The area is dominated by the red glow of energized hydrogen. At the center of the "heart" is an open cluster known as Melotte 15 and the open cluster NGC 1027 is to the left. 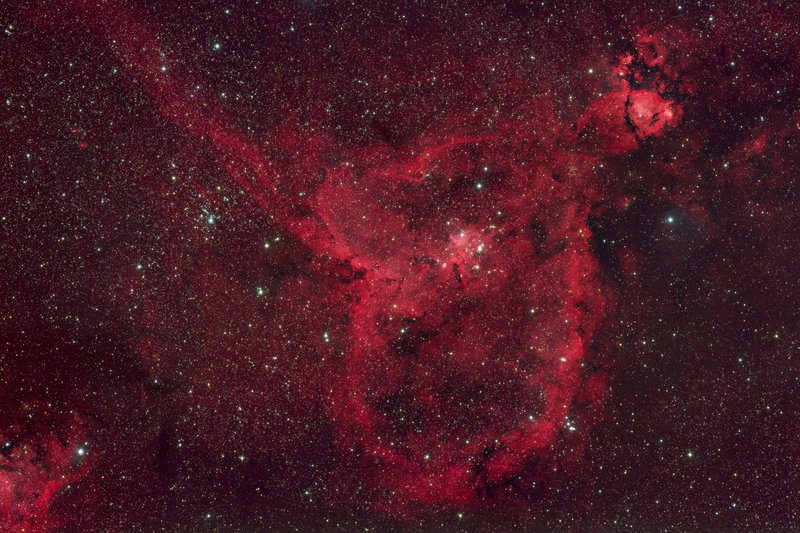 The large knot at the upper right is IC 1795 or NGC 896.